QMPlay2 is a video and audio player which can play most formats and codecs. DVDFab Media Player is an impressive tool you can use to view any video or movie you want. 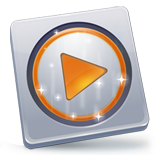 Media Player Classic - BE is a free and open source audio and video player for Windows. All your music, everywhere you go. HamMultiPlayer is a software created to scan your directories (and/or drives) to find and display several files in real time. Free, Compact Media Player. All the functionality you would expect from a media player is provided by Light Alloy. Kolor Eyes is a free multi-platform 360-degree video player. If you know how to use a standard looking media player, you won't have any trouble with ChrisPC JTV Player. QuickTime is a fully-featured media player which offers support for numerous file formats, while offering a simple and accessible interface. RealTimes saves all your photos and videos and turns them into beautiful stories to share and watch on any device. Media Player Morpher is an All-In-One application that supports almost all audio/video formats. Blues Media Player is a media player for Windows which can play a large number of formats. With PlayBOX, you have free and easy access to many online TV stations.